Is a highly dangerous new phase of the war in Syria – to remain conservative – starting? Which actor(s) could best benefit (at least on the short-term) from such tragic developments? Each section of the scan focuses on signals related to a specific theme: world (international politics and geopolitics); economy; science; analysis, strategy and futures; AI, technology and weapons; energy and environment. However, in a complex world, categories are merely a convenient way to present information, when facts and events interact across boundaries. As polarisation rises, not only internationally but also domestically within many countries, weak signals are not only “direct”, describing facts, but also, increasingly, “indirect”, i.e. perspectives on reality providing more indications about the positioning of actors, the rising tension(s) and uncertainty, than about facts. The Weekly also aims at monitoring this rising tension to evaluate the possibility for future overt crises, and the underlying corresponding dynamics. The Weekly is the complimentary scan of The Red (Team) Analysis Society. It focuses on political and geopolitical uncertainty, on national and international security issues. The information collected (crowdsourced) does not mean endorsement but points to new, emerging, escalating or stabilising problems and issues. If you wish to consult the scan after the end of the week period, use the “archives” directly on The Weekly. 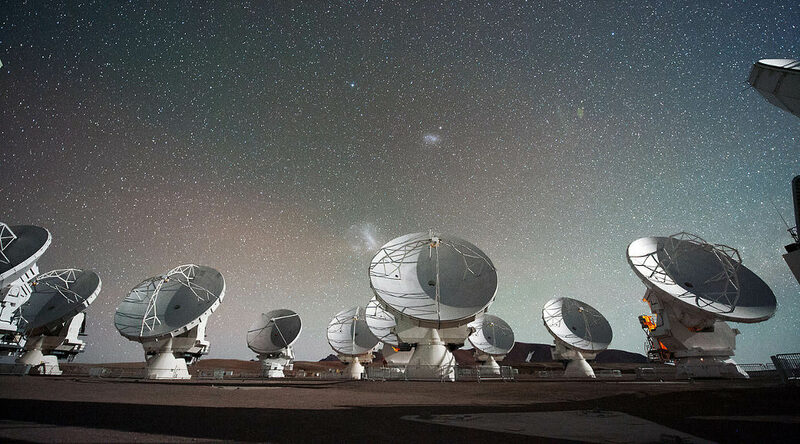 Featured image: Antennas of the Atacama Large Millimeter/submillimeter Array (ALMA), on the Chajnantor Plateau in the Chilean Andes. The Large and Small Magellanic Clouds, two companion galaxies to our own Milky Way galaxy, can be seen as bright smudges in the night sky, in the centre of the photograph. This photograph was produced by European Southern Observatory (ESO), ESO/C. Malin [CC BY 4.0], via Wikimedia Commons. Big Data, Driver for Artificial Intelligence… but Not in the Future?